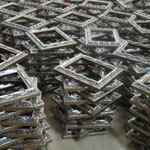 Since 2001: Building personalized mirrors for any decor. 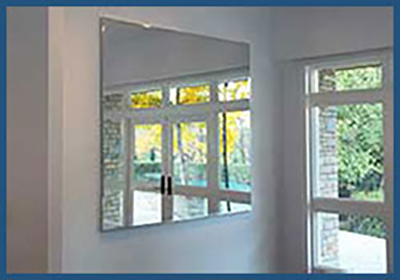 Create a mirror for any room in any size. This page contains shopping links to hundreds of options. 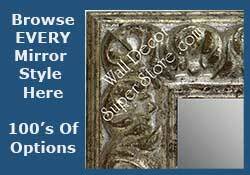 Shop to create a mirror just right for your decor. You can make the overall width and high any size you like. 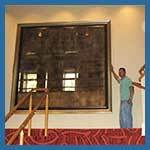 Personalize a mirror that is very long and narrow - or very wide and high. Choose the color, style and size of frame. 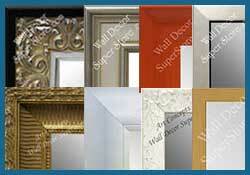 Complete Menu Of Navigation LInks To Build A Custom Mirror To Fit Your Decor. 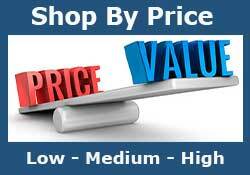 Shop By Style, Size, Color, Price And More. Any Size - For Any Room. Amazing Selection of Price, Color, Style And Size. 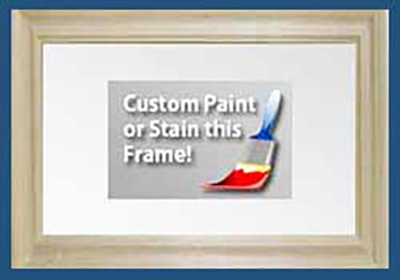 Personalize Any Décor - Use In Any Room - Made To Your Request. 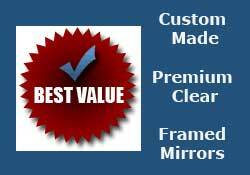 Popular Assortment Of High Quality Value Priced Frames - Made With Our Premium Clear Mirrors. Great For Any Room - Including The Bathroom. 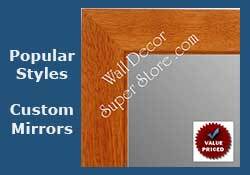 Custom Made To Order With Quick Shipping - Add An Optional Bevel..
Personalize Custom Mirrors And Find A Perfect Style Your The Decor. Shop Traditional, Contemporary, Ornate, Tropical, Distressed, Shabby Chic, Formal, High Gloss And More. 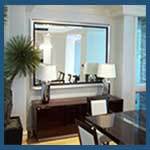 Create A Custom Mirror With An Emphasis On Color. Wide Color Options Including, Metallic, Wood Finish, Bright And Colorful, Black, White, Unfinished And Much More. 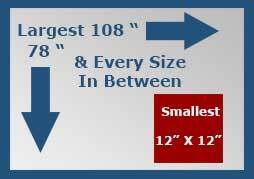 Very Very Small Mirrors From 12" x 12" To Extra Extra Large Mirrors 78" x 108" - See Our Menu Of Size Options - And Create A Custom Mirror For Any Room. 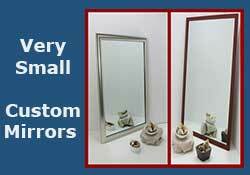 Shop A Wide Selection Of Frame Styles For Very Small Custom Mirrors. 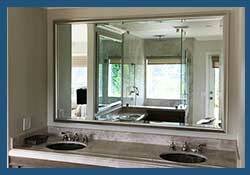 Great Accent Mirrors - We Make Beautiful Mirrors To Fit A Very Small Space. Current Mirror Styles - Very Popular With Our Custom Designers - Traditional Wood, Satin Nickel - Stainless - And Barnwood Driftwood Styles. 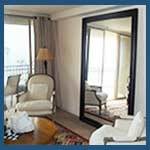 Unfinished Custom Mirrors - DIY Paint Or Stain To Match Your Decor - Choose Moulding Style and Size - Flat Polished Or Beveled Mirror. Available In 20 Colors - With this very popular and current style we can make a mirror from 12 x 12 inches to 40 x 72 inches. 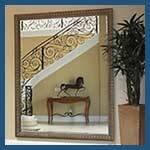 Use in any room - as a wall mirror or leaning floor mirror. 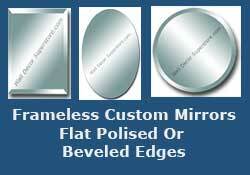 Premium Clear Frameless Custom Mirrors Made To Your Size - Beveled Or Polished Edge - Square - Rectangle - Round or Oval. Perfect For Retail Stores - Bridal Salons - Private Homes. Full 360 Degree View - Personalize To Your Size, Color And Style. 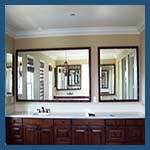 Great Dressing Mirrors. 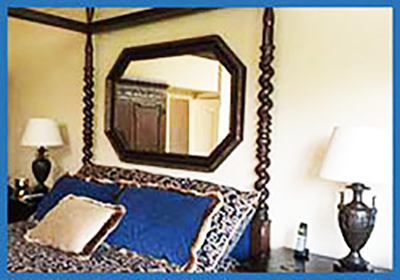 Rich Accent Mirrors - Aged Looking Beautiful Antique Mirrors Can Be Used With Any Frame - Create A Custom Designed Antique Mirror - The Perfect Accent To Your Decor. 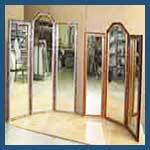 Menu Of Options To Create A Leaning Mirror Using Just The Right Combination Of Color, Style, Size And Price. Add Warmth And Function To Any Room. .
Use This Menu To Create The Perfect Mirror For Any Bathroom. 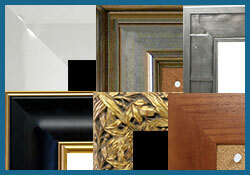 Framed Or Frameless Large Or Small - Personalize To Your Size, Color, Style And Budget. 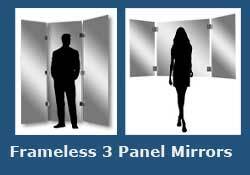 Hundreds Of Custom Mirror Options - Select The Style, Size Color And Price - We Guarantee Safe Delivery Anywhere In The USA.